Your startup has grown beyond the confines of that basement office and it's time to move. 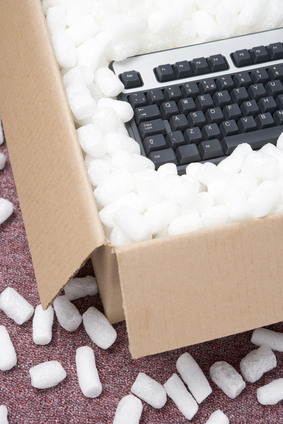 Whether it's across the street or across town, an office move can be stressful for employees. Solid communication early in the process will reduce their fears and keep them productive in the interim. These suggestions will guide you through some good communication practices. You can't plan early enough for your office relocation, says Christopher Elliot of Microsoft Business. Your employees will have many questions and the more answers you have in the beginning, the more accepting of the move they will be. Use a checklist so you don't miss something important. Xpress Movers has a downloadable checklist that you can customize for your office move. Do we have to pack our own offices? Will we have the same size/shape of space as we currently have? What amenities are in and around the new building? Will we have new furniture/equipment? How will this impact our current schedules and deadlines? Until employees get their main questions answered, you risk their anxiety, which could impact performance. The business needs to continue running smoothly before, during and after the move. Don't let a relocation seriously affect your bottom line. You could also see this step as selling the relocation to your employees. While you are giving them useful information, you're generating excitement and anticipation. As the relocation date draws near, the information you supply will be more specific and timeline driven. Obtain brochures and flyers from the new building space to post for your employees to review. Get information about other tenants in the building. Track down menus from local eateries and brochures from other merchants around the building. This familiarizes your staff with the space and surroundings and gets them excited about being there. Schedule times when employees can go to the new office space and get a tour. If possible, take small groups over with you and have lunch at one of the local establishments. The more comfortable your staff is with the people, amenities, and atmosphere, the sooner they'll be ready to work in their new space. Research the new area thoroughly. Consider having a real estate agent who's familiar with the new office area give a presentation and answer questions. Have him or her talk about bus lines and other transportation options, the local housing market and apartment and condo availability. A smooth relocation has no surprises or contingencies to take care of any small issues. Make sure all documents and financials are organized. Accounting software like Intuit's Quickbooks can handle invoicing, payroll and bookkeeping, and it syncs to all devices so you don't miss anything while equipment is being set up. Make sure the space is ready for your employees before their packed boxes arrive. Light fixtures, power supplies, network cables, and any other items needed by the staff to get to work in their new spaces should be addressed. Don't let employees arrive in a space that isn't completely ready. That will cut into productivity as everyone stands around wondering what to do next.